SECOND TO NONE: Christine Bell, 1952-2012. The late great Christine Ann Bell wore many hats in her time. No pun intended, given that one of her classic annual public-relations promotions was aptly titled “Hats-On to Easter.” Indeed, her professional and personal interests seamlessly spanned the fields of journalism, public relations, education, and acting. And she was comfortably “at home” in all these spheres. In fact, Christine played a pivotal role in keeping the aims and objectives of the Jamaica Association of Dramatic Artists (JADA) alive, having served on the Executive Council as a Vice President since 2006. Last July, she was re-elected to that post at the annual general meeting. Since her passing, JADA President Scarlett Beharie, Council members, and members of the wider theatre fraternity have offered their condolences to Bell’s family and friends and expressed their appreciation for her having housed the JADA secretariat in her corporate office at Innovative Ideas for many years. “Christine was determined that JADA should function,” Beharie said. “Hence, our Council has been able to operate from a central location where members [can] meet, thanks to the goodwill of her company. JADA Past President Dorothy Cunningham recalls that Christine was a tower of strength in the planning and execution of the 2009 International Theatre Institute (ITI) Dramatic Theatre Committee’s executive meeting and workshops, held in Jamaica. “We treasured her quiet, unflappable approach…‘It’s okay, don’t worry about it’ was all she had to say to calm our jittery moments,” Miss Cunningham reflected. Christine has been “on stage” since high school, receiving kudos as Best Supporting Actress for her performance in a Mt. Alvernia High School entry in the JCDC’s Schools’ Drama Festival, circa 1968. That production brought Christine into the mainstream to perform with veterans Stan Irons, Grace McGhie and Teddy Price. However, the 20-year-old Christine almost didn’t make it onto the stage at all. She was standing backstage in Sala, awaiting her cue … except that, when it came, she learned that one really can get cold feet. Therefore, when David Carty delivered her cue line, she stood frozen in the wings. It took the observant Stan Irons to gently push her on-stage. In her time, Christine was nominated on numerous occasions for Best Actress awards, based on the quality of her performance in lead and supporting roles. And, the records show that she won the Actor Boy Award for Best Actress in a Lead Role on three occasions: for Louis Marriott’s Office Chase; Lenford Salmon’s State of Emergency, a Jamaican adaptation of the Chilean play Death and the Maiden; and for her performance as Ruth Younger in A Raisin in the Sun, a School of Drama production, which also featured Leonie Forbes. In addition to the title role in Slade Hopkinson’s Sala, Christine played the female lead of Gert in Carmen Tipling’s Straight Man. She also had roles in several Ed Wallace productions, including the American stewardess in Marc Camoletti's Boeing Boeing; the prostitute Mary in Ron Clark/ Sam Bobrick’s Norman, Is that You? ; Miss Brissett in Louis Marriott’s Office Chase; Ginger Knight’s Whiplash; Cheaters; Trevor Rhone’s School’s Out; Paulina in Lenford Salmon’s State of Emergency; Ruth Younger in Lorraine Hansberry’s A Raisin in the Sun; and Basil Dawkins’ A Gift For Mom. Her final theatrical role was that of Josephine in Basil Dawkins’ one-woman play Josephine’s Night Out. 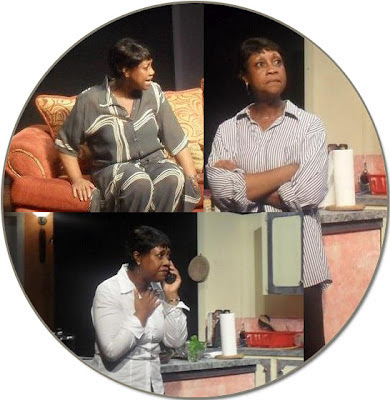 Playwright Carmen Tipling recalls that Christine found her “stride” in Straight Man, under the direction of Munair Zacca, performing with the late Stafford Harrison and Ruel Cooke at the Barn Theatre. “It was a poignant view of chasing the American dream, with or without that essential green card to be straight, and Christine brilliantly articulated the choices,” revealed Tipling. Director Trevor Nairne, who worked with Christine on two of her award-winning performances – Paulina in State of Emergency and Ruth in A Raisin in the Sun – speaks glowingly of her intelligent, heightened sensibilities as an actress, which allowed her to carry out difficult directions in an organic and creative manner. “Her process of exploration for situations and characters and her boldness and maturity as an actress made her outstanding,” Nairne said. She remembers Christine as a master at multi-tasking. “She would wrap up a telephone business call, check in with her mom and son, David, then put on her makeup, take quiet time to reflect on the script and character, and share a few jokes and anecdotes with me. At curtain call, she would look in the mirror and say ‘Hi gorgeous!’’ and then she was ready to perform.” Christine particularly enjoyed three of her roles on stage: Miss Brissett in Marriott’s Office Chase; Paulina in State of Emergency; and Mother in Whiplash, because they gave her scope. Eventually, Christine moved beyond the boards and behind the proscenium arch, and became a total theatre person. She was stage manager for Ed Wallace Productions’ Love & Marriage; and wardrobe mistress for Louis Marriott’s Bedward. 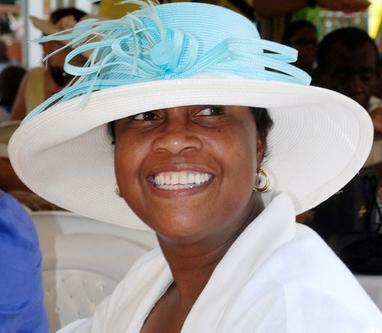 Additionally, she became a playwright who penned scripts for two radio dramas, Uptown Downtown and Barnsville Gap, and was one of a trio of writers engaged for the former RJR hit series Beverley Heights Jamaica. Christine became a favourite with local television audiences, when she appeared as Rose Madden in the long-running series Royal Palm Estate. She also performed as the hotel receptionist in an episode of the Oliver at Large TV series; as Amy Jacques Garvey in According to Little Poe and Mrs. Garvey – a full-length, made-for-TV movie, produced and directed by Don Bucknor; and Mother in the Lorimar Productions’ Going to Extremes. A communications consultant by profession, Christine Ann Bell was Chief Executive Officer of the 20-year-old Innovative Ideas, which she founded in 1992. Since her passing, on February 24, she has been applauded by members of the theatre, journalism and public relations fraternities for her indelible contribution in these fields. Source: The Jamaica Association of Dramatic Artists (JADA). And she was a loving mother and a sincere friend. Though so short her life was full and Christine affected many, many people positively. I am blessed to have been able to call her friend and will treasure the moments we shared personally and with family. May she rest in peace.